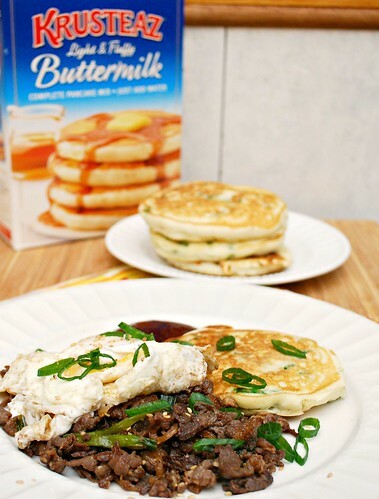 It's easy to make sweet pancakes, but I highly recommend making some savory pancakes too! The pancake mix makes for a great blank canvas to take on any seasonings and spices for a savory twist. 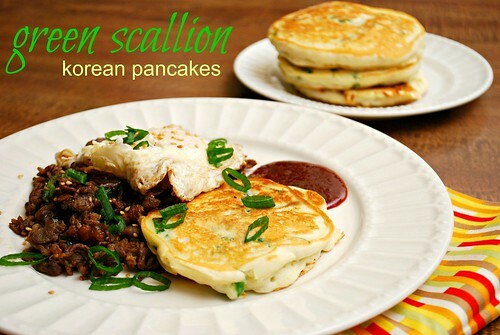 For my Korean scallion pancakes, I used garlic powder and fresh scallions to add flavor and color. They're delicious as a unique side dish or even as a main meal. 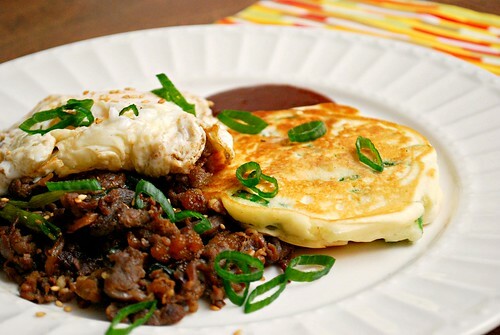 For our Korean spin of steak and eggs, we enjoyed them with beef bulgogi and a fried egg. Be sure to grab this Krusteaz pancake coupon for additional savings for $0.50 off any one pancake or waffle mix! Get the full recipe on Krusteaz's website HERE!